Volunteers, your boy is coming home. 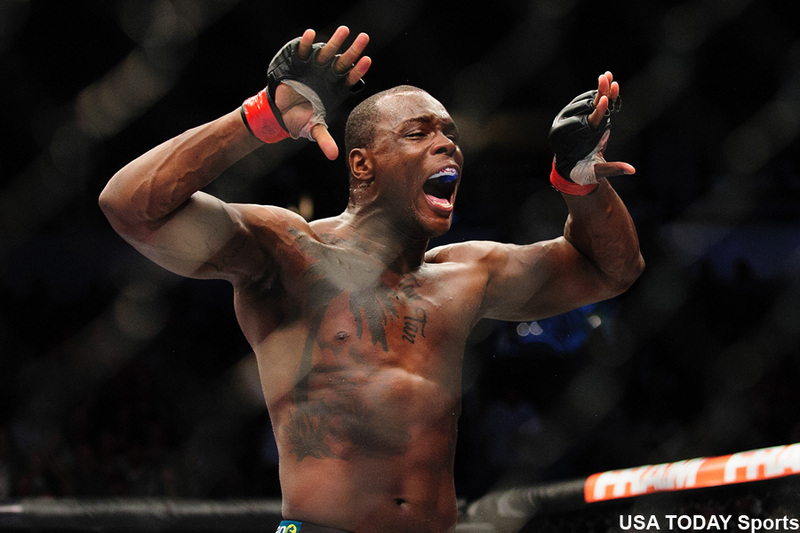 On Wednesday, it was announced former University of Tennessee Volunteer football player Ovince Saint Preux (pictured) will headline the UFC’s August 8 event in Tennessee against Glover Teixeira. Saint Preux petitioned to fight in front of his hometown after making quick work of Pat Cummins last month with a first round knockout. The light heavyweight has won seven of his last eight scraps, with his lone defeat coming in a lopsided decision to Ryan Bader three outings ago. Teixeira is a former top contender who is in desperate need of a win. The Brazilian has dropped two straight bouts, most recently getting out pointed for a decision defeat in October by Phil Davis. Bridgestone Arena in Nashville hosts the festivities. Fox Sports 1 will broadcast the main card live.